SciCo organises science festivals in order to bring science to the general public in an original and entertaining way. 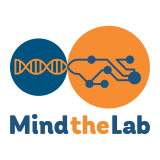 In these festivals, everyone - regardless of age or profession - has the opportunity to explore, interact and discover the sciences that are part of our everyday lives. The festivals’ programme is enriched with interactive exhibits, spectacular experiments, hands-on workshops, performances, educational activities and games, science art exhibits, lectures by distinguished Greek and foreign scientists, molecular cocktails and music. Athens Science Festival, was first held in 2014 and it takes place at Technopolis in the heart of Athens city. In 2015, its second operating year, more than 33,000 people - students and individual visitors – came to the festival to celebrate the magical world of science. 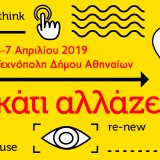 Thessaloniki Science Festival took place for the first time in 2015, at Pavilion 8 of the International Fair of Thessaloniki and at the Sports & Culture Facility “WE”, whilst Mediterranean Science Festival will be held in December 2015 in Limassol, Cyprus. 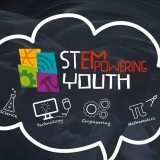 STEMpowering Youth supports STEM teaching by providing lab equipment to schools in remote areas!